So You Want to Throw In the Towel eh? This is the time of year when I go through a period of discouragement and darkness. I want to run away from everything and hide myself away. 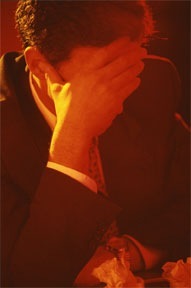 I suffer from post traumatic stress syndrome and I find it hard to face and be around people. This year I am facing that giant and won’t let that discouragement get me down or keep me from performing my duties. Why do we as Christians so often get discouraged and want to give up? Why do we often put our eyes on our circumstances instead of our Saviour? We look at the storms in our lives and so often want to "throw in the towel". As a very good friend of mine said to me recently; "Why do so many Christians use that phrase? What good would it do you? Can you actually throw in a towel? What if all Christians decided to throw in the towel, where would the world be today? What if Jesus Himself in the garden instead of saying; "Nevertheless Father not My will but Yours be done" said "I can’t do this, I’m throwing in the towel" We would all be lost." Don’t misunderstand me. Many of you have very good reasons for feeling discouraged. You face things like illness, divorce and separation, rebellious children, lack of a job, finances and many other things too numerous to mention. Sometimes discouragement is brought on by tiredness or a lack of prayer and bible reading. With me it was facing chronic illness that was crippling and required 3 major surgeries, a spouse suffering from mental illness, separation and a number of false accusations that had been brought up against me. I had every reason to be discouraged and throw in the towel. Discouragement is the one tool that the devil uses most to deter us from dependence on God and walking in His will. The devil will remind you over and over about your circumstances so that you lose your focus and forget God’s promises. 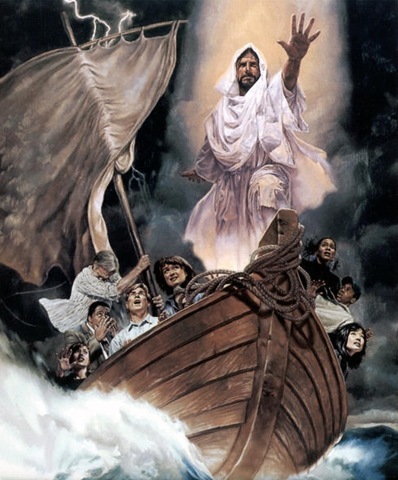 So often we forget the time that Jesus and His disciples were in a boat and a storm came up. Jesus was sleeping and the disciples fearing for their lives cried out; "Master, Master wake up we are going to drown!" Jesus woke up and calmed the storm and rebuked them for their lack of faith. Luke 8:22-25 They had God in their boat and they were afraid of drowning!?!? We have to get it into our hearts and minds that God is in our boat and no storm can touch us if He is there with us. So why do we get discouraged and want through in the towel? Jesus said "Come to me all you who are weary and heavily burdened and I will give you rest. Take my yoke upon you and learn from Me, for I am gentle and lowly in heart and you will find rest for your souls. For my yoke is easy and my burden light." Matthew 11:28-30 and "These things I have spoken to you, that in Me you may have peace. In the world you will have tribulation; but be of good cheer for I have overcome the world." John 16:33. The promises and encouragement for believers found in God’s word are endless. So why do we want to throw in the towel? Because we take our eyes of the Lord and put them on the storm. My sister in the Lord had only been a Christian for 3 years and yet she showed a lot of maturity in what she said to me. God used her to get me to rethink what I was saying. I myself will never again threaten to throw in the towel. God’s promises are true and His word never fails! Thank-you Jesus for being in my boat! Part of our hope is in recognizing this world is not our home. This is only the beginning for us. Our journey started out when we recognized Christ as the ultimate sacrifice for our sins and made Him Lord. He has set us apart. Our journey will be infinite. It is hard for us to grasp that thought of living forever because we live in a dimension of both time and space. God exists outside of that. He sees the end from the beginning and nothing escapes His notice. One of the common misconception is that Jesus is talking about Heaven. Heaven is a temporary place and everything that is temporary will one day pass away. Only those things which eternal will survive. He said; “Heaven and earth will pass away, but My words will by no means pass away.” Matthew 24:35 (NKJV) Those who die before Christ returns have fallen asleep and their souls are in heaven waiting for the final trumpet to sound. Our final destination is the New Jerusalem where we will live with the Lamb of God forever. That is the home that Jesus has gone to prepare for us. We can’t even in our wildest dreams imagine what it will be like. The bible says that for now we can only see dimly like trying to peer through frosted glass. 1 Corinthians 13:12 What awaits us there is more beautiful than any words can describe. Colours we never knew existed. We will have new bodies like Christ and everyone of our senses will be alive and experiencing feelings that will be awesome. Earth in all it’s beauty cannot compare to the beauty we will see there. We will never shed another tear. Never have to face sickness or death again. Never again have to watch a loved one battle cancer or any other disease. Never have to suffer or even feel hunger. Living in the light of the Lamb always. Always fellowshipping with the brethren and the saints that have gone before us. Always rejoicing in Christ. The joy that you feel here on earth in worshiping Jesus is miniscule compared to what it will be like then. Hope in these promises my brothers and sisters. It is only the beginning and soon, very soon we shall see Him. Don’t be as those who have no hope and live in despair. The time left to us here on earth is but a blink of the eye and then we will awaken and all that has happened to us here on earth will be a very dim memory. You are His, a treasure He will by no means ever forget. Nothing can separate you from His love. You were bought with a price and He will see you through to the end. Trust Him. You will overcome by the blood of the Lamb and the word of your testimony. I have always been fascinated by the marathon run in the Olympics. 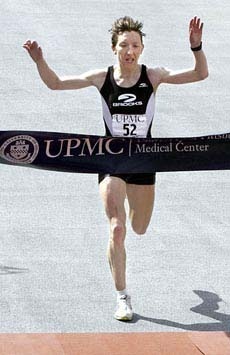 The runners run for very long distances to obtain a medal. All along the way there are those who cheer them on. The crowd rises to their feet as each one enters the stadium and applauds them. Even those who don’t come in the top three are applauded. 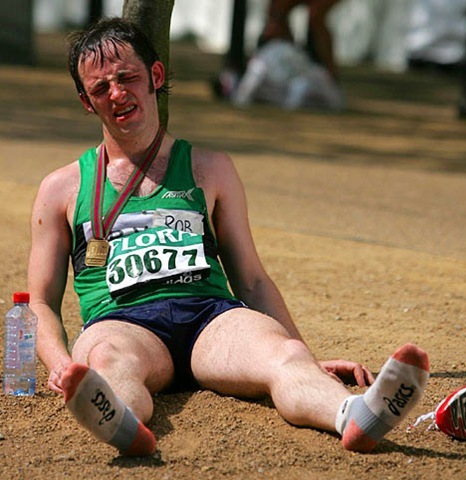 The marathon is a gruelling race and some never finish, they drop out because of exhaustion. I remember seeing films of men who were so determined that to make it that they would almost have to crawl to make it across the finish line. To be a marathoner requires discipline and training. Without those 2 essentials they won’t last. Being a Christian is like being a marathoner. It requires discipline and training. These come from spending time in God’s word and in prayer. Without those two essentials it can be a long and agonizing race and many wind up dropping out. But for those who endure there is as the bible says a cloud of witnesses chee ring us on. Those who have gone before us and obtained the crown. It also means enduring the trials and temptations that come our way. Life for a Christian who is truly following in Christ’s steps is never easy and the bible says clearly that because the world hated Christ, it will also despise you. John 15:18 It means being laughed at, mocked, ridiculed and it means persecution. Are you willing to do what it takes to win that race? It requires as Hebrews says that you lay aside every weight, and the sins that so easily ensnare us. What are the things that ensnare you? Are you willing to let them go? The prize is eternal life. It is ending that race by running into arms of Jesus. To me that is the one prize I hold above all. Mark Schultz wrote a song called Cloud of Witnesses. It’s about a group of friends and their walk with the Lord. The last verse and chorus says; So when it comes the time that Heaven calls, they’ll come running, to see the ones who’ve gone before. Who ran the race and made the journey home. To find them waiting at the finish line cheering happily. They will run and they will see, a cloud of witnesses lined up on a street of gold as they run the final mile that leads them to the throne. 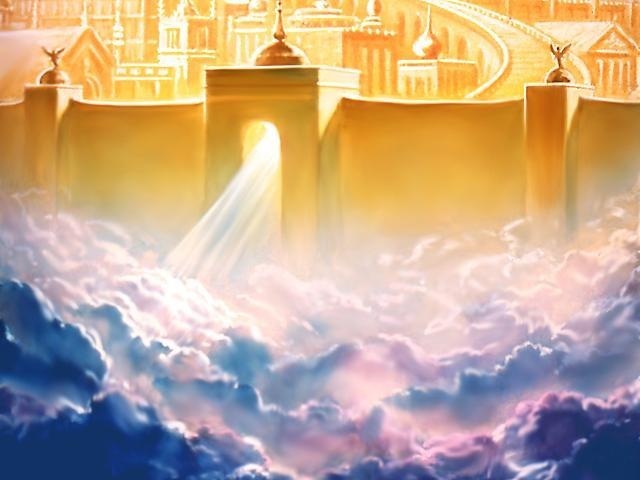 And through that cloud of witnesses, they can see God upon that throne and as they fall into His arms they know their home in a cloud of witnesses. 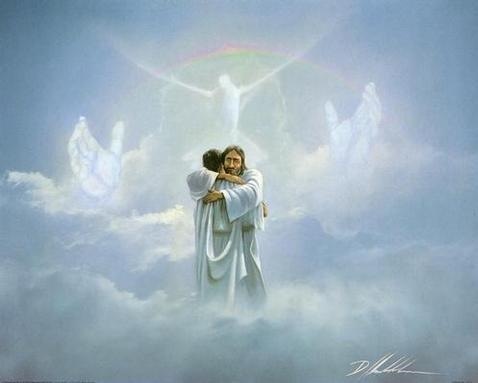 Lord Jesus we long for that day! As they run the final mile. That leads them to a throne. They see God upon the throne. Surrounded by a could of witnesses. Jenny Hart w as born in 1900 one chilly April morning in Edinburgh, Scotland. Her mother died as she gave birth to her and her father, unable to take care of her and her two sisters gave them up to be raised in an orphanage. At the age of 16, she and her sisters along with thousands of other orphans were shipped over to Canada to work on Canadian farms and as household help. She was placed on a farm located in the Ottawa Valley. The conditions were hard and the farmer was quite harsh with her. At the age of 18 she attended an outdoor revival service. There she repented and gave her life over to Christ. Within one hour she was saved, baptized in water and baptized with Holy Spirit and fire. Her life would never be the same again. The farmer became even more harsh and told her she was not to talk of her faith at all to his daughters. But the daughters were persistent. They wanted what ever it was that had changed Jenny. One day up in the loft of the barn she led them both to Christ. Both were immediately filled with the Holy Spirit and fell under His anointing. When the farmer found out about it, he beat her and sent her from the farm. She then moved to Montreal where she worked as a household servant until she met Guy Beck at the age of 26 at a church in Montreal. They had 6 children, 3 boys and 3 girls. One of them a boy, died as a toddler. The youngest of her daughter’s was my mother. Not too long after I was born my grandmother moved in with us. She became a great help to my mom who was faced with many pressures being married to an abusive and alcoholic man. I know that it was because of my grandmother’s prayers that my family held together for as long as it did. Nan or Nanny as we called her was quite a woman. She reminded everyone who met her of Granny from the Beverly Hillbillies. She knew how to make you laugh and everyone who met her loved her. I remember her putting a sheet over her head and wearing her glasses on top of it and chasing me and my brothers around the house. We would love to tease her and she was always good natured about it. But oh how bold she was about love for Christ and always had words of encouragement for those who were struggling. She was never ashamed to tell someone how much Jesus loved them. She loved Jesus with all her heart, mind, strength and soul. Many times I would hear her crying out to God in prayer and interceding for others in her room. Speaking in that heavenly language that to me sounded so mysterious and yet so wonderful. There were times I was so fearful and I would sit and talk with Nan and she always had the words I needed to lift me up and replace that fear I felt. She was not perfect as none of us are, but she was one shining example as to why I serve Christ today. I love many of the old hymns of the church because I had first heard her singing them. As I grew into my teenage years I lost that closeness I used to feel with her and began to resent her and her faith in God. But she never gave up on praying for me and every opportunity to tell me how much Jesus loved me. Her persistence paid off and I gave my heart to Christ for good in 1981. My grandmother used to tell me often the story of the two sisters she had led to Christ. I liked her telling it to me over and over. She had lost all contac t with the family after the farmer had kicked her off his farm. In 1988, almost 60 years afterwards, one of the sisters finally contacted her. They had been searching for her for years. She came to tell her that because of her faithfulness in leading them to Christ, that eventually the entire family came to Christ, including the farmer. Everyone of them became involved in ministry even to the third generation. (After I wrote this piece my mom called to tell me tell me something I didn’t know. One of the sisters married George Beverly Shea, the great singer who ministered for many years with Billy Graham.) What a testimony to God’s faithfulness and why we need to share our faith with others no matter what they think about us. My Nan went home to be with Jesus peacefully in 1990 but she left a legacy. Many of her children and grandchildren and great grandchildren know and love Christ because of that faithfulness she showed in praying for us and the light that shone from her life. I still miss her and can’t wait to see her again in glory. What about you? What kind of legacy are you leaving? Do those around you know you are a Christian? Do you look for ways to share your faith? 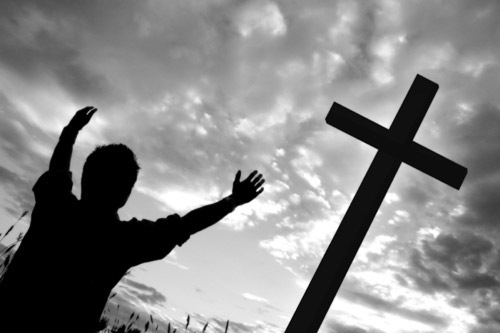 Does Christ and living for Him consume you? If not pray this prayer, "Lord help me to be the witness you want me to be. Help me to leave a legacy to everyone I meet, never being ashamed of who you are. I want to and I need to be more like you Jesus. I want to lay down my life in service to you. Giving you my all and not holding anything back. I want to hear those sweet words, "Well done my good and faithful servant, enter into the joy of your Lord."